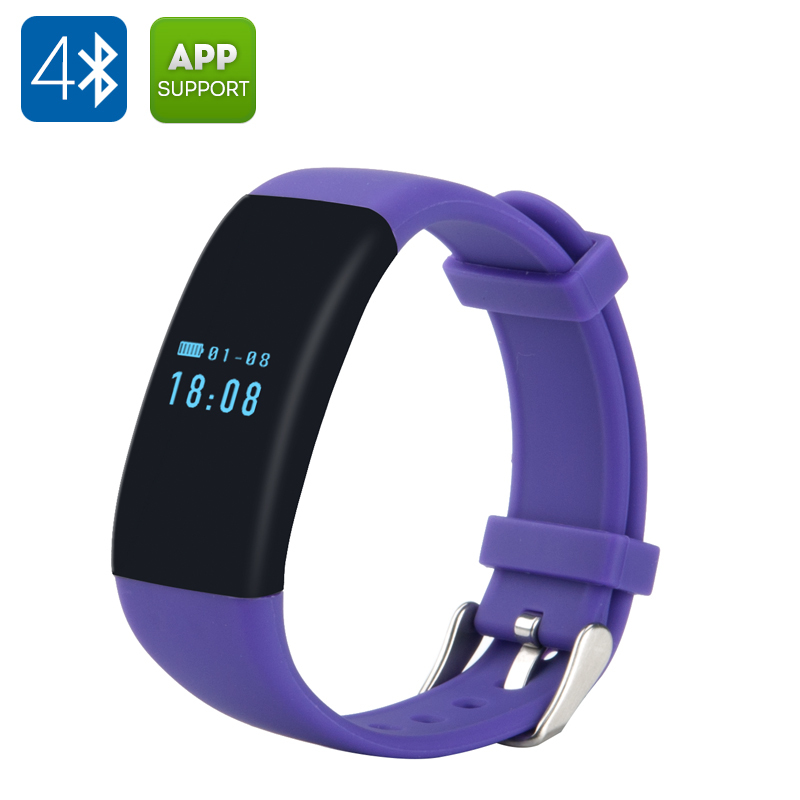 Successfully Added DFit Smart Sports Bracelet - IP66 Waterproof, Bluetooth 4.0, Bright 0.66 Inch OLED, Pedometer, Heart Rate Monitor (Purple) to your Shopping Cart. Let this colorful smart bracelet your every day brighter and fitter! The DFit waterproof smart sports tracker comes with a pedometer, heart rate monitor, sleep monitor and more. The DFit sports bracelet is a great gadget to keep on track with your fitness activity and health. It will let you track how active you are throughout the day with a built-in pedometer and will let you know how your body reacts to physical strain with heart rate monitor. If you often have trouble falling asleep, wake up during the night or, in general, don’t feel well-rested in the morning, DFit’s built-in sleep monitor will help you discover the underlying reasons for bad sleep and help improve you resting time. The smart sports tracks comes with apps for both Android and iOS – and you will get some extra functionality by getting the sports band connected to your smartphone. For instance, you will get convenient reminders about incoming calls right to your wrist. Thanks to Bluetooth 4.0, the wristband will communicate with your smartphone quickly and efficiently. The smart sports tracker comes with a 0.66 inch OLED display and an 80mAh built-in battery for up to 5 days on standby. Try it now and get better control of your health and fitness. The DFit Smart Sports Bracelet comes with a 12 months warranty, brought to you by the leader in electronic devices as well as wholesale sports smart bracelets..